Representative image only. Check individual details. DO-07193-27 was succesfully added to your cart. For applications requiring the chemical resistance of FKM elastomers, contact our Application Specialists for assistance.A metered pump comes in various styles including diaphragm pumps, gear pumps, peristaltic pumps and piston pumps. 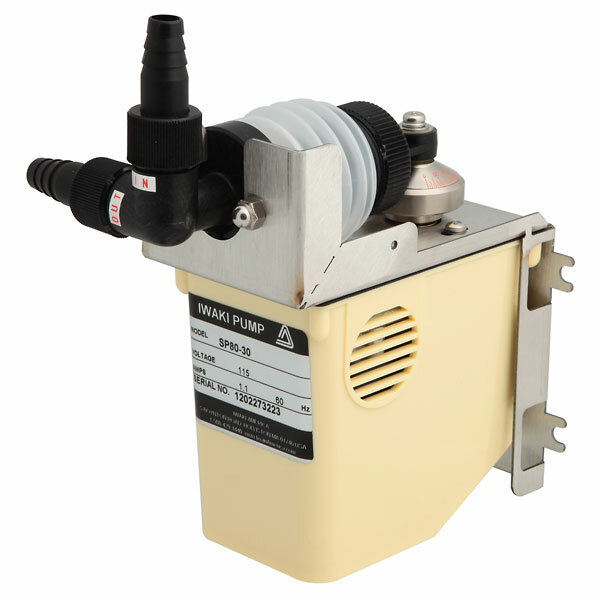 A metered pump can be used in a pilot plant, or for industrial, quality departments and OEM applications. A metered pump transfers media in two ways. It begins with the intake stroke where the inlet side of the pump is opened, the outlet side closed and liquid is pulled in to the pump cavity and ends when the outlet stroke where the inlet side of the pump is closed, the outlet side opened and liquid is forced out. A metered pump is used in applications where high accuracy dosing or movement of media is required, pumping needs to be controlled by computer, PLC, or flow proportioning, flow rates are GPH or less, high system pressure occurs or with high viscosity or slurry media. Davis Instruments has a range of metered pumps which can cover flow rates from 1 nL/min to 60 GPM with pressure options up to 18,000 PSI. If you have questions about choosing a metered pump contact a Davis Application Specialist today.